A wedding day is one of the most important days in a bride’s life, and our expert beauty professionals are here to make sure your special day is memorable. Our beauty experts specialize in wedding hair and makeup in New Orleans that will make you look absolutely flawless as you walk down the aisle. After getting your wedding hair and makeup done at Hair Loft Studio, you’ll definitely leave our salon with confidence, knowing that you’re the beautiful bride you’ve always imagined. At our New Orleans women’s hair salon, we strongly believe that your wedding day hair and makeup should reflect your personal style and as well as the feel of your wedding. While some brides know exactly the kind of hair and makeup they want, other brides feel more confident leaving it to the professionals. Our job as expert stylists is to help guide you and determine the perfect style for your wedding day. In order to create the hair and makeup style of your dreams, we need to get a clear picture of both the details of your wedding and your personal style. That’s why our beauty experts will ask you questions about your fashion sense and even your wedding themes so that by the end of the consultation we have all the information we need. It’s crucial that your wedding hair and makeup match your wedding colors, the location of your wedding/reception, your everyday makeup and clothing preferences, and the style of your wedding dress. After we have all the essential details, we can build a general idea of your preferred hair and makeup style and begin crafting your perfect wedding day look. The old adage “A picture is worth a thousand words” is absolutely true when it comes to getting a wedding hairstyle and makeup that you will love. Not only are photos a great way to communicate your personal style, but they can also show your stylist your likes and dislikes. If you are the kind of bride who knows exactly what you want, please bring some photos that showcase the hairstyles that you like. 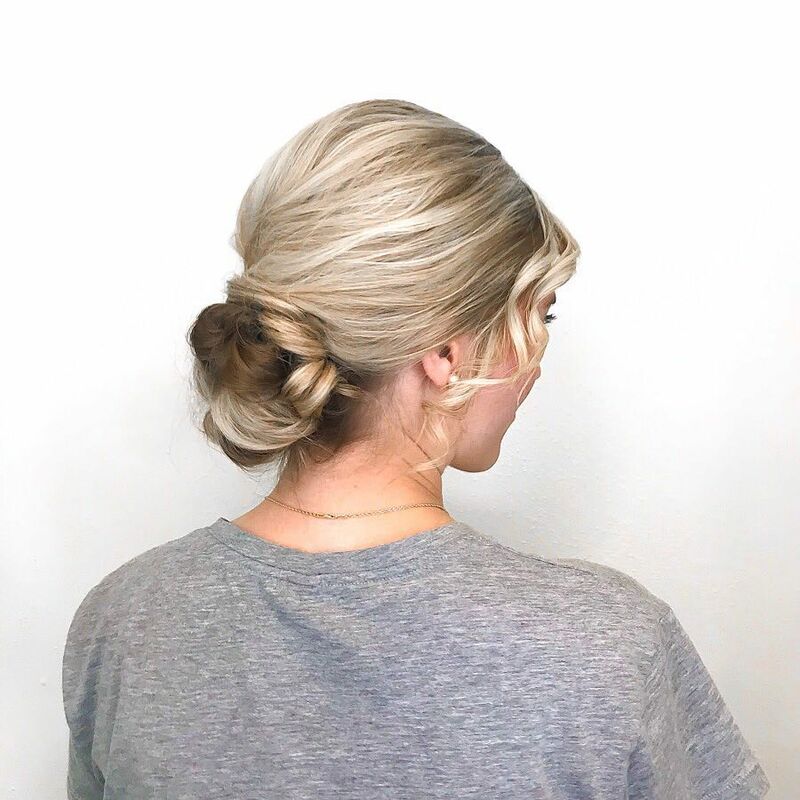 These photos can serve as great inspiration for your bridal hairstyle when your big day finally comes, and our beauty professionals might also have a few ideas on the best way to enhance your beautiful features. Along with showing your stylist photos, it’s also important to discuss your "absolutes" with our beauty professionals, preferably before wedding hair and makeup service. If you know that you want red lipstick, but don’t want to wear eyeliner, make sure you let your stylist know. Or maybe you want your hair to have volume but don’t like to wear your hair in a bun. Regardless of your wedding hair and makeup requirements, always remember to let our beauty professionals know your “absolutes” when performing your service. Great wedding hair and makeup start with the right stylist. Our fantastic beauty professionals understand that hair and makeup is a collaborative effort between bride and artist, so you can wholeheartedly trust us to create that perfect look! To learn more about our fabulous New Orleans Wedding Hair and Makeup Service, visit us before your big day to see how we can turn your dreams into reality.